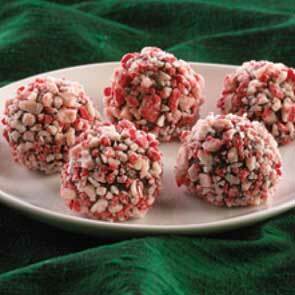 Minty Truffles For Santa – This Girl Loves to Eat! In a heavy saucepan over medium heat, bring the evaporated milk just to a boil then remove from heat. Separate out 1 cup of the peppermint crunch, chop finely and set aside. In a large microwave safe glass measuring cup, cook the chocolate chips and peppermint pieces on high for 1 minute. Remove and stir then slowly stir in the hot evaporated milk until well combined. Cool in refrigerator for 1 hour. Remove and allow to stand at room temperature about 5 minutes. Store in refrigerator in tightly sealed container between layers of waxed paper until ready to serve. Makes about 45 truffles. Posted on December 24, 2015 December 23, 2015 by ls1228Posted in Dessert, Gluten Free, Party Food, Recipes, TreatsTagged 60% Cacao, Andes Peppermint Crunch, Dark Chocolate Chips, Evaporated Milk, Gluten Free Treats. 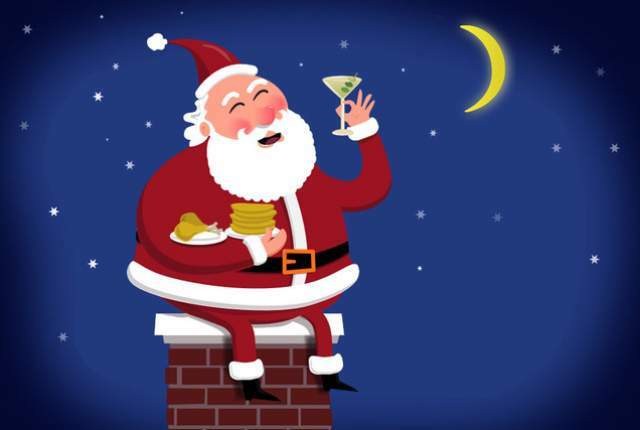 What a lovely treat to spoil Santa !